There are bird wars outside our bedroom window. Our neighbour’s trees – way over-sized at about 50 feet tall – are now home to precariously balanced nests, still in construction. I think they are crows, possibly jackdaws, and for the past few mornings there have been altercations as one bird harries another away from the building site. He swoops over the road with his black feathers glinting and the magpies look on, bobbing away on branches. We went to Bucks today, just 90 minutes south, but already a few weeks ahead in terms of blossoms and blooms. On the service station near Bicester, more birds (crows? jackdaws?) were building their dens. 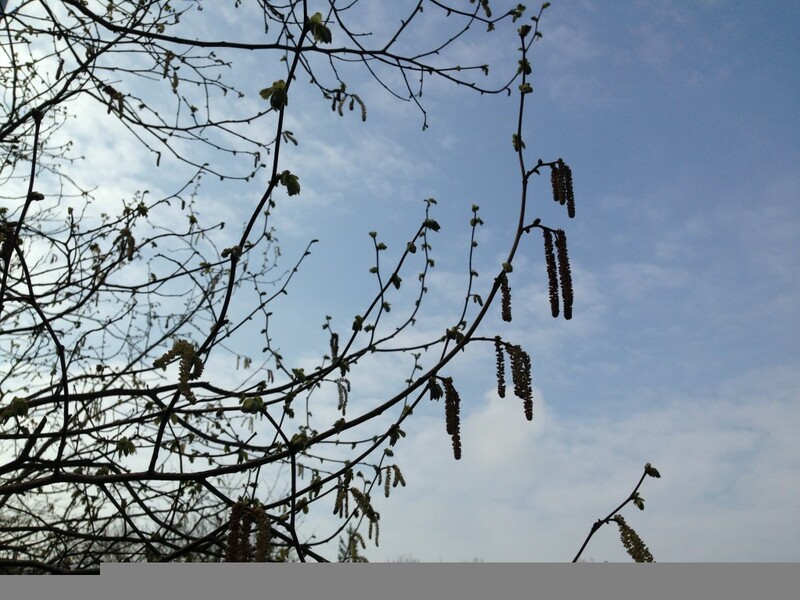 Five minutes later I spied catkins in the car park. Then in Marlow, primroses and – unbelievable – cowslips! But on reflection, I like that Birmingham’s springtime is later. It is pleasure doubled: we see the blooms arrive in the south, then come home and experience it all over again. The joys of delayed gratification. And speaking of gratification – the Marlow trip was to visit The Hand and Flowers, the Michelin star gastro-pub famous for its duck-fat chips and laid back atmosphere. I’ve been ill for the last few days but booked this table back in November, so WE WERE GOING. And what did I find on the menu but a posh custard slice – brilliantly executed, with crumbly shards of pastry held together with apple puree and pastry cream – but not a patch on those solid wedges from Cooks Bakery in Upton which I wrote about the other day. This entry was posted in Allotment, Spring and tagged Hand and Flowers, Marlow. Bookmark the permalink.